The exhibition at the Griffin Museum in the Atelier Gallery was fantastic! There were a ton of people and a potential collector who was deeply touched by the project in a personal manner. That was very exciting to experience. 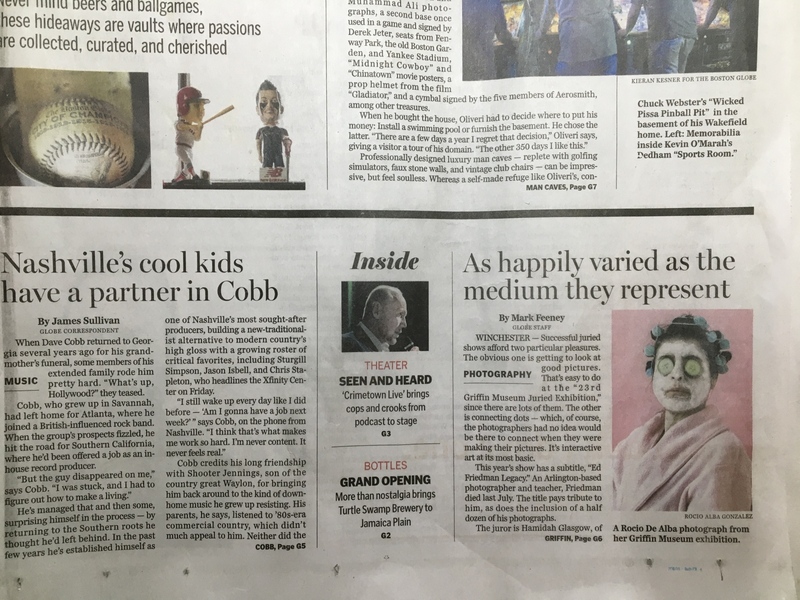 My image entitled "The Fistherman's Wife - Mother of Three, 2015", was the intro image to art critic Mark Feeney's review of the show printed in the Boston Post. He has an interesting take on the image and my series. The entire experience was unforgetable. If you are in the Winchester area, please do visit the museum. It is a wonderful gem! At the Griffin Museum, we are constantly reviewing works by new photographers with an eye toward capturing who the next great artist will be. Our Atelier and Griffin Gallery is reserved specifically for showcasing these artists, providing a rare opportunity to view their work before they are widely known.